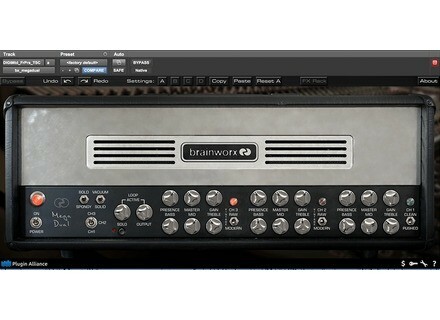 Last new plug-ins introduced today by Brainworx, the Mesa Boogie Single and Dual Rectifier tube amps are available separately or bundled. The Mesa Boogie Rectifier sound fans can now discover at Plugin Alliance de the modeled versions of the Dual and Single tube amps developed by Brainworx. The bx_megadual reproduces the sound arsenal of the Dual Rectifier, from jazzy clean to high-gain distorted rock tones, thanks to three separate channels, each with its 3-band EQ, gain, presence and master volume. You can also choose between 8 gain options (Clean and Pushed on channel 1, Raw, Vintage and Modern on channels 2 and 3), manage the Variac output transformer option, select between tube or solid-state circuits for the rectifier and use the noise gate, delay and power soak, three features that are not available on the original. Brainworx also included 64 IRs captured from three Mega speakers, 9 vintage and modern mic recorded through a Neve VSX72 and Millennia, SPL and elysia EQs. The bx_megadual is a VST 2/3, AU, RTAS, AudioSuite and AAX 32 and 64 bit plug-in for Mac OS X and Windows. It is available for $149 at plugin-alliance.com. The bx_megasingle reproduces the Single Rectifier, a two-channel amp with 3-band EQ, gain, presence and master volume, two Clean/Pushed modes for the Rhythm channel and Vintage/Raw/Modern gain options for the Lead channel, as well as 64 IRs. 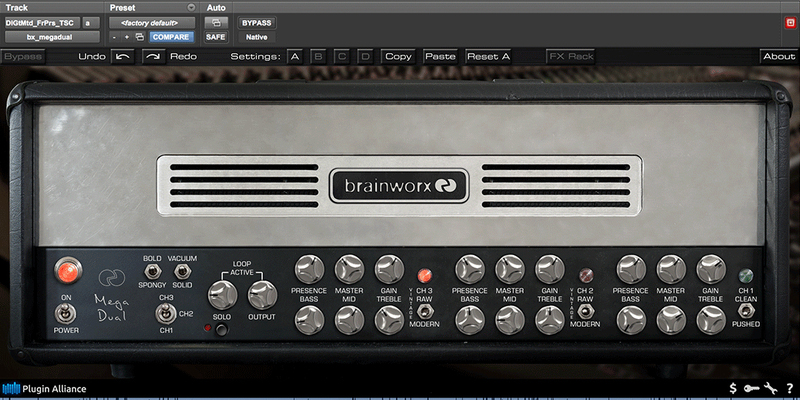 This plug-in is also available for $149 at Plugin Alliance. Plugin Alliance also gives you the ability to purchase both plug-ins in the BX Mega Amp Bundle for $299. 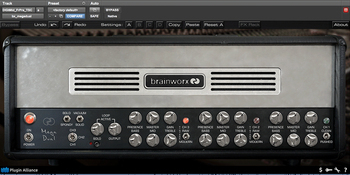 The Chandler GAV19T emulation for all Last year, Brainworx modeled the Chandler Limited GAV19T guitar amp head for Universal Audio. The plug-in is now universal. 2 new Brainworx bx_opto compressors Brainworx unveils today several new creations, among which the bx_opto and bx_opto Pedal compressor plug-ins, the latter being free for one month. The elysia nvelope is now a plug-in elysia and Brainworx modeled the nvelope transient processor in a plug-in for Mac and Windows that was released today.